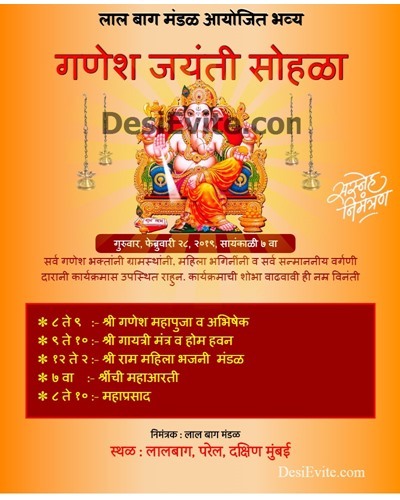 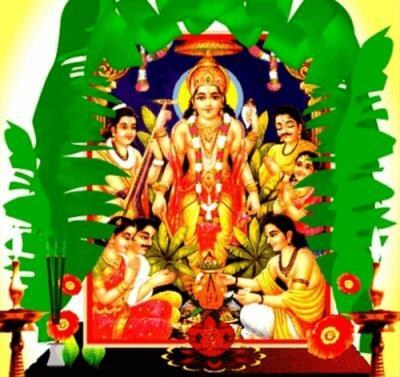 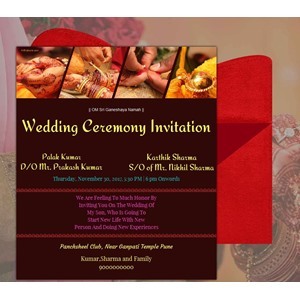 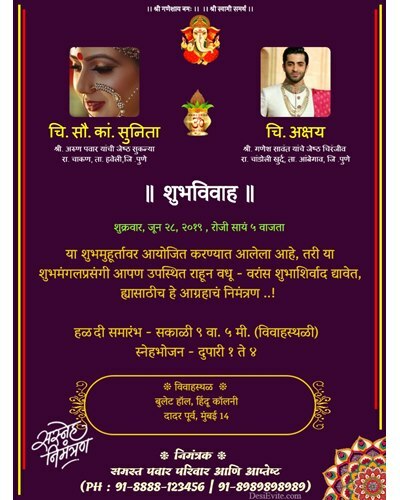 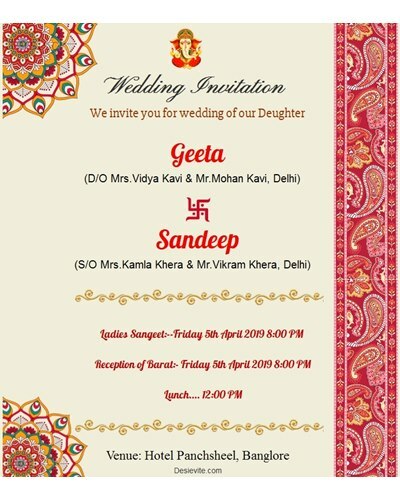 Ganesh Intro, engagement Title, Groom Bride Name, Program details, Invitation by..
Ganesh intro, Groom Bride photo, Family photo1, Family photo2 Wedding ceremony Details, Invitation by details. 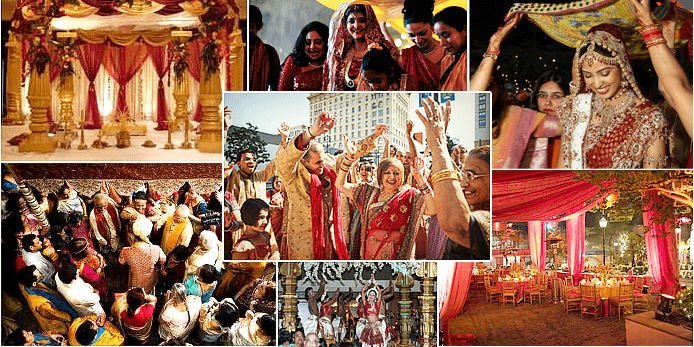 You can customize for all subsequent wedding anniversaries. 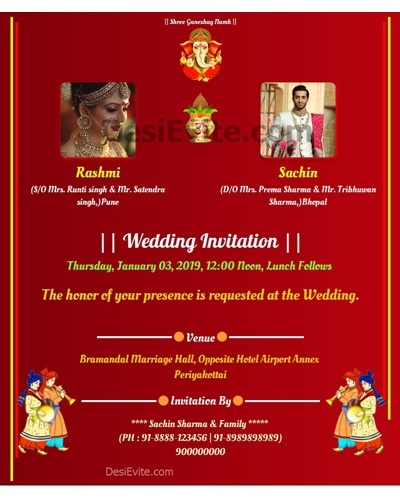 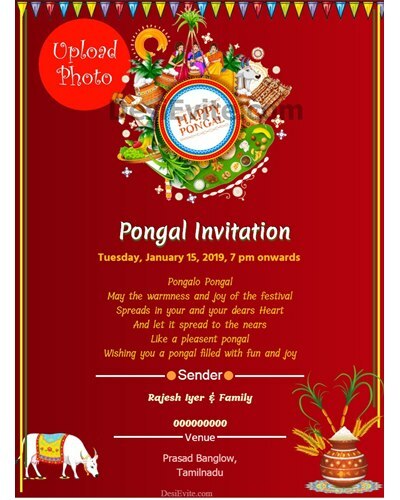 1st/5th/10th/15th/20th/25th/30th/45th.. Two photo, date & time, Venue, Intro..
Ganesh intro, Groom Bride photo, Name, Wedding Invitation Message, wedding Program details, Venue with photo, Invitation by with Family Photo..
Ganesh intro, Groom Bride photo, Name & Parent Details, Pre-wedding(mehandi/haldi), Wedding ceremony, Reception.